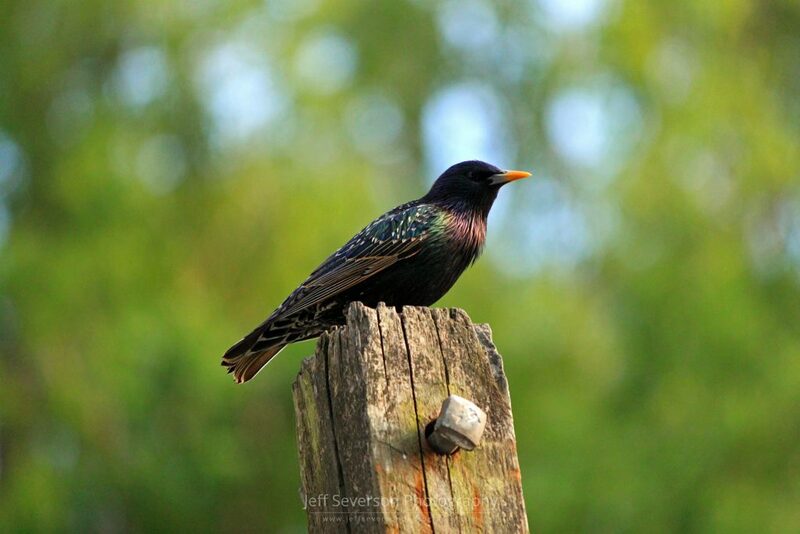 A European Starling, also known as a Common Starling, perching on top of a pole in Spring. The Common Starling was introduced in New York in 1890 in Central Park and their population has grown to 150 million. Their population now extends from Alaska and southern Canada to Central America. This photo was taken on May 12, 2012 in Ulster Park, NY.